In this new edition of the Ohio Short Histories of Africa series, Douglas Johnson has managed to pack a vivid, longue durée history of Africa’s newest nation into a highly readable book. For anyone gripped by the tumultuous current events of South Sudan, and those speculating about its future, this book is essential reading. From the outset, Johnson attempts to reverse pervasive myths about South Sudan, beginning with the notion that its peoples have no history at all, or that its archaeological wonders – including thousands of pyramids – were mere copies of Egyptian prototypes. Johnson demonstrates the ways in which the peoples of South Sudan have been influential on the Horn of Africa region, continuously entangled with the historic movements of surrounding nation states, not remote peoples separated from the politics of the day. The book also details the complex history of statehood itself within South Sudan, including the various kingdoms and chieftaincies of South Sudanese tribes which stretch back to the middle ages. This is a pertinent, but consistently overlooked, background to the contested notion of statehood and self-rule for the country. 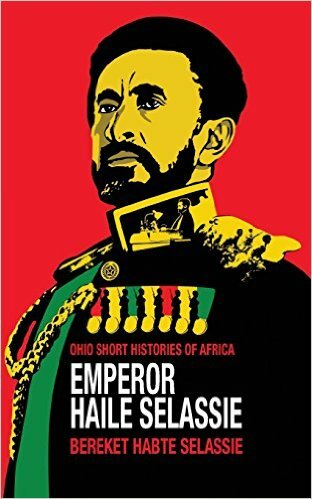 After this informative overview, Johnson details the increased movements of the slave trade and the ways in which Arab and European empires began to encroach on the peoples of South Sudan in the business of imperial growth and conquest. Both the persistence of slavery, with raids in South Sudan extending nearly to the turn of the twentieth century, followed on by pernicious British invasion of the region – Johnson recounts an astonishing 36 military campaigns and patrols by the British between 1899 and 1930 – demonstrate the degree to which prejudices and misunderstandings of the peoples of South Sudan have led to an unusually brutal history of exploitation and political violence. It is clear that this history is vital to understanding the pervasive nature of militarized aggression and violence in South Sudan today. Johnson’s slim narrative helps readers glimpse the origins of political contestations in contemporary South Sudan, providing a vivid summary of the nation’s history, and a thorough bibliography of sources for further reading. A review copy of South Sudan: A New History for a New Nation was kindly furnished by the Ohio University Press. Since the beginning of Operation Usalama Watch, on April 2, Kenyan authorities have sternly maintained that the ongoing terror swoop is not targeting any specific community and have called on all Kenyan citizens to support it. National media have mostly served as the government’s sounding board in what is depicted as an unprecedented effort to flush out terrorists and their sympathizers from the midst of Kenyan society. The conflation of terrorism and immigration issues has been emerging as the backbone of a policy of fear that aims to separate “genuine” Kenyan citizens from internal enemies and has been successful in polarizing public opinion. The ongoing security crackdown risks not only benefiting al-Shabaab, but also restricting the scope of citizenship and democracy in Kenya, which is likely to engender further tensions and contribute to instability in the region. Operation Usalama Watch started on April 2, when the police arrested 657 people in Nairobi’s Somali neighbourhood of Eastleigh, following three blasts in the area on March 31 in which six people died – among them were two Somalis. A week earlier, an attack by armed gunmen on a church in Likoni, in Mombasa County, had left six people dead. It remains unclear who perpetrated these attacks: Al-Shabaab hasn’t claimed responsibility for any of them. Over the last three weeks, more than four thousand people have been arrested in Eastleigh – most of them are “ethnic” Somalis (Kenyan-Somalis, Somali refugees or “aliens” from Somalia, and Somalis with foreign passports) – and 173 suspected illegal immigrants have been deported to Mogadishu. According to figures released by the police and published by the Daily Nation on April 17, 1136 suspected illegal immigrants, most of them Somalis (782) and Kenyans (247), were screened at Safaricom Stadium in Kasarani between April 4 – the stadium was gazetted as a police station five days later, on April 9 – and April 16. Since April 18, 281 refugees have been deported from Nairobi to Kakuma and Dadaab camps. These alarming numbers, however, are only part of the story. During the security crackdown, which was conducted first in Eastleigh and then in the Nairobi neighbourhoods of South C, Lang’ata, Kawangware and Kasarani, security forces raided houses at night without search warrants, asking for bribes, looting cell-phones, laptops and gold jewelry, harassing people, and arresting those who were unable to “buy their freedom”, according to dozens of testimonies we collected in Eastleigh’s main shopping malls (Madina, Amal Plaza, Eastleigh shopping centre, and Garissa Lodge) on April 14 and 15. At one point, more than six thousand security forces – Administration Police (a paramilitary security unit), General Service Unit (a paramilitary wing of the Kenyan police), and blue grey berets (Kenya Air Force, from Moi Air Base) – swooped on Eastleigh. According to dozens of personal testimonies we collected, from women, men and teenagers, people were arrested randomly, on the streets, in shopping malls and during home raids at night, no matter what type of identification document they had: Alien card (either valid or expired), Kenyan ID, refugee mandate, papers attesting the person’s ID was being processed/renewed, foreign passport with a valid visa, or no papers at all. According to the same testimonies, any identification document was liable to be dismissed by security officers as fake if the holder refused or was unable to pay a bribe. Bribes were said to be proportional to the ID’s type: a small bribe for a Kenyan ID and a big one for a refugee mandate or an Alien card. We also collected numerous stories about people who were detained without being prosecuted at Kasarani Stadium, Pangani and other police stations beyond the 24-hour limit fixed by Kenyan law. Heavily pregnant women, as well as women with newborn and very young babies, were among those who were detained. Inside Madina Mall, on April 14, three shops were closed as their owners, three young women aged seventeen, nineteen, and thirty (the latter with a two-year-old child), had been deported to Mogadishu on April 9 as illegal immigrants after having been detained at Kasarani stadium. One of the two younger women arrived in Kenya with her family when she was a kid while the other one was born in Kenya. The thirty-year-old woman is an Ethiopian-Somali who had never been to Somalia before. Among those who were detained, there was also a Kenyan-Somali journalist (name withheld) who was arrested as soon as he tried to film detainees inside Kasarani stadium. The journalist, who had manage to sneak into the stadium after security officials had denied him access, was detained for three days, first at Kasarani before being transferred to different police stations, even though he had a valid ID. He reported of people being humiliated, deprived of basic care, and of suffering women and sick children being denied treatment. In its latest report, Human Rights Watch has strongly criticized the ongoing security crackdown, accusing Kenya’s security forces of mistreating Somalis and denouncing very poor detention conditions at Pangani police station. On April 18, the police confirmed the death of a woman, later identified as forty-year-old Seynab Bulhan from Eastleigh, who was awaiting deportation at Jomo Kenyatta International Airport. Kenya Police Service spokesperson Zipporah Mboroki denied it happened in police custody, but gravediggers affirmed the police escorted the body to the Muslim cemetery in Kariokor, where it was buried at night. Fear and unpredictability have been the prevailing feelings in Eastleigh for the last three weeks; the very same feelings that Somali refugees and “aliens” had been trying to escape by leaving their country. Kenyan authorities have dismissed criticism of the ongoing swoops by describing it as ungrounded “claims” by “a section of the public”. At the same time, unconditional support for the government’s security policy has been turned into a matter of loyalty. At the beginning of the operation, on April 4, speaking at a pass-out parade of hundreds of new police officers at the Kiganjo Police training College in central Kenya, President Uhuru Kenyatta stated: “A lot has been said and we will not talk any more. All we are requesting is for Kenyans to back us in whatever we are going to do”. On a similar note, on April 5, reiterating that no community was targeted in the swoop, Administration Police spokesman Masoud Munyi pointed out that “any right thinking Kenyan should in fact be happy about the move by the police to get rid of criminals”. Mr. Munyi also dubbed accusations that the police conducting the swoop were taking bribes and harassing residents as “false” and “meant to tarnish the image of the police force”. Although the approach adopted by Kenya’s security forces in conducting the crackdown is not new, the communication dimension of Operation Usalama Watch is quite unprecedented, more reminiscent of Kenya’s state-controlled media in the 1970s and 1980s. On the Heels of Terror, a “documentary on terrorism” prepared by the National Police Service and aimed at solidifying support among Kenyans for the ongoing security operation, aired in prime time on all major TV stations, KBC, KTN, Citizen TV, K24 and NTV, on April 15 and 16. Featuring thrilling background music and a gripping voice over, the two-part video was a eulogy of the Kenyan police. It praised the rapid and effective response of security forces to the Westgate attack, without the slightest reference to the blunders, looting and friendly fire that were exposed by some media. Terror attacks in Kenya were largely portrayed as a clash of religions – “Where is your freedom of worship?” wondered Eric Kiraithe, a security expert and serving police officer in the “documentary” ’s first episode – overshadowing the fact that Muslims and Somalis were among the victims of the Westgate attack, as well as of the grenade attack on Machakos bus station in March 2012 and the attacks in Eastleigh over the last two years. Four words, written in big white capital letters on a black background, were described as the connections between the perpetrators of the Westgate attack: Al-Hijra (Kenya’s Al-Shabaab affiliate), Al-Shabaab, Somalia, and Al-Qaeda. De facto, Somalia was equated with three terrorist organizations. The enemy-from-within rhetoric was the most salient feature: “That man you knew can take up a firearm and be the terror next door”. This argument was used to justify exceptional measures as “terrorism is not like any other ordinary crime” – the key message being: “It’s high time we say enough is enough”. Newspapers also contained pieces lending support to Operation Usalama Watch. In an opinion piece published by the Daily Nation on March 20, Mutuma Mathiu, Managing Editor at Nation Media Group, wrote: “every little, two-bit Somali has a big dream to blow us up, knock down our buildings and slaughter our children”. Mr Mathiu’s conclusion for the article was: “We are at war. Let’s start shooting”. On April 11, the Daily Nation published a vitriolic piece by the newspaper’s columnist and satirist Kwamchetsi Makokha, in which the author directly linked the eighty-four terror-attacks that have gone off in Kenya since 2011 to the presence of Somalis in the country. Mr. Makokha blamed the Kenyan government for allowing “these relatives of al-Shabaab to invest in the country, constructing tall buildings, trading and practicing their religion oblivious of the poor pay the police receive”. The author also made allegations in relation to the “true loyalties” of both Somali refugees and Kenyan-Somali citizens: “Kenya has continued to host thousands of Somalis in camps, where, overfed on rations, they plot how to harm their hosts. (…) Some have even acquired primary and secondary school certificates and university degrees to give the fiction of their Kenyan nationality a veneer of believability, but they do not fool anybody about where their true loyalties are”. Although Mr. Makokha did emphasize later that it was satire, the decision to publish such a piece in the current context was irresponsible to say the least. In fact, most readers did not recognize the satire – it did not go far enough beyond the reality of the current political climate in Kenya. The fact that Kenya’s leading newspaper agreed to publish such opinion pieces, containing clear incitements to ethnic hatred, is a wake-up call. This call, however, has remained unheard by the Chairperson of the National Steering Committee on Media Monitoring, Ms. Mary Ombara. On April 16, responding to social media reactions to the security swoops in Nairobi, Ms. Ombara (who is also the Director of Public Communication at the Information and Communications Ministry) condemned the “hate speech on the ongoing police crackdown on crime and illegal immigrants” and labelled it as “a threat to national security and cohesion”, but she didn’t raise any concern with the highly controversial opinion pieces published by the Daily Nation. By polarizing (manipulating?) public opinion, the communication dimension of Operation Usalama Watch risks jeopardizing Kenya’s social fabric. The Kenyan government has used the threat of the internal enemy to justify the ongoing police crackdown. Even more problematically, the rhetoric of the enemy from within, which is a corollary of the terrorism-immigration nexus, is being used to shape and promote a particular notion of the “good citizen”, i.e. the one who is supportive of his government, whatever it does. Following this logic, the risk for critics of being labelled as enemies is just one step away. In this context, the government’s proposal to register all citizens afresh in a new digital database, which was publicly announced on April 15, sounds controversial. According to Interior Cabinet Secretary Joseph Ole Lenku: “We must know who is a Kenyan and who is not” – here is the real million-dollar question. From a political perspective, Operation Usalama Watch is likely to further marginalize and alienate citizens in Kenya’s poorest areas, namely the Coast and the North. In these areas, the presidential vote went largely to Raila Odinga during the latest elections, in March 2013. The Coalition for Reforms and Democracy (CORD) leader, who is currently attending a two-month political forum in the US upon invitation by the African Presidential Centre of Boston University, has repeatedly condemned the security crackdown in Nairobi over the last three weeks. Mr. Odinga urged the Jubilee government to halt “the indiscriminate harassment of a particular community”. He also warned the government not to engage in acts that mirror the manner in which Kenyans were handled during Britain’s repression of the Mau Mau uprising and the Wagalla massacre in which hundreds of Kenyan-Somalis were killed by Kenya’s security forces in 1984. Raila Odinga, who formally accepted the Supreme Court’s endorsement of official election results in 2013 but has continued to claim he was a victim of wrongdoing, might benefit politically from this ill-advised security crackdown. Although the government’s policy of fear has been successful in overshadowing the mean achievements of the Jubilee Alliance in combating corruption and improving basic standards of living, the ongoing swoops may deepen the rift between President Uhuru Kenyatta and Deputy President William Ruto. The latter’s United Republican Party (URP) did especially well in the North in the latest elections, namely in Mandera, where successful electoral politics strategies led to a swing to the Jubilee Alliance. According to interviews with local journalists, during a meeting with Kenyan-Somali MPs in the days immediately preceding the beginning of Operation Usalama Watch, President Uhuru Kenyatta blamed the impending crackdown on Deputy President Ruto. According to the same sources, when the National Assembly Majority Leader and Garissa Township MP Aden Duale threatened to withdraw support for the Jubilee government on April 4 over what he termed arbitrary arrests of his people and a section of North Eastern and Muslim MPs threatened to do the same a few days later, Uhuru Kenyatta reiterated that Mr. Ruto was pressuring him,. This political game might cost dear to the Kenyan President, especially because Raila Odinga is eager to see the Jubilee Alliance collapse. The silence of the international community (with the exception of the UNHCR, which has repeatedly expressed “concern” over mass arrests and the ongoing crackdown on Somalis) may be interpreted in at least two different ways: either Kenya’s anti-terror strategy has succeeded in changing the fortunes of Kenyatta and Ruto, drawing them closer to western governments, or, these same governments are waiting for the Jubilee Alliance leaders to get bogged down and drown in their own mistakes – which might revive the ICC cases against them. 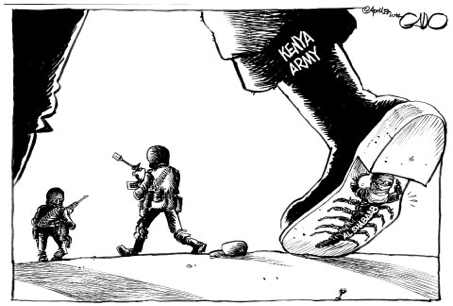 The op-ed “Graft is Kenya’s Achilles’ heel”, which was signed by seventeen Chiefs of Mission in Kenya (among them were the British High Commissioner and the US and Europe Ambassadors) and published by the Daily Nation on April 13, devoted only two short paragraphs out of twenty-two to security issues. Instead of criticizing the swoops, the Chiefs of Mission stated that “the best way to combat terrorism” was to have “well-trained and honest security forces” and that international partners were “ready to help” Kenya achieve that goal. This statement seems to be very much in line with what has been western governments’ approach to security and anti-terrorism in Kenya for the last decade. The ongoing security crackdown, however, should raise questions about the validity and effectiveness of this approach. The weak response of the Somali government in the face of the ongoing crackdown has further undermined President Hassan Sheikh Mohamud’s popularity, which is at its lowest level since September 2012. The Somali President, who visited Nairobi on April 7, and attended the reception of Kenya Airway’s first Dreamliner jet at Jomo Kenyatta International Airport with his Kenyan counterpart, didn’t make any public statement on the crackdown on Somalis and was blamed for continuing his busy foreign travel schedule as if nothing had happened. Villa Somalia’s silence and the controversial role of Somalia’s Ambassador to Kenya Mohamed Ali Nur “Americo” – who has been blamed for acting as a “broker” and standing on the side of the Kenyan security forces, rather than with his people – have fuelled a conspiracy theory over the cause of this complacent attitude, suggesting that the Kenyan and Somali government might have a hidden agenda over the Jubaland issue. President Hassan Sheikh Mohamud may already have too many problems at the domestic level – he is also at loggerheads with the Prime Minister, Abdiweli Sheikh Ahmed – to be willing to engage in a diplomatic battle with Kenya. Whatever the reason might be, this lack of sensitivity and political acumen is severely undermining the Somali government’s credibility and serving al-Shabaab’s interests. From an economic perspective, if the current trend of plummeting business revenues in Eastleigh continues, not only the Somali community, but also Kenya’s economy, at both the national and regional level, will heavily suffer. Eastleigh is a commercial hub for East-Africa, which provides goods and services to local and regional consumers at prices well below the market average. Somali investment, which has been constantly increasing in Kenya for the last two decades, has significantly contributed to the growth of Kenya’s economy. From a security perspective, the opacity that has characterized the response by Kenya’s security apparatus to terror attacks since 2011 can hardly contribute to rebuild public confidence in security forces. Without a serious security sector reform, the current surge in number of police and paramilitary officers – in the month of April alone, about seven thousand new officers have joined the police force – is unlikely to yield fruit. In the face of the ongoing crackdown, Raila Odinga publicly wondered why “the government has inexplicably refused to form an inquiry into how the attackers in Westgate got there”. Former Deputy Speaker and Lagdera MP Farah Maalim stated on Citizen TV that the Kenyan government knew more than it was saying about the recent terrorist attacks and wanted to blame Somalis to distract attention – this seems to be a widespread conviction among numerous Somalis and Kenyan-Somalis, who hold this as a fact. Summoned by the Anti-Terrorism Police Unit on April 17 to respond to allegations that his remarks on Citizen TV constituted hate speech, Farah Maalim maintained his position and added that the approach the government had taken to fight terrorism would escalate the situation. Although it is difficult to determine and assess the different political agendas, one thing is clear: al-Shabaab is the likely winner – as Cedric Barnes, Crisis Group’s Horn of Africa Project Director, rightly pointed out. The ongoing crackdown on Somalis, the merger of terrorism and refugee issues, as well as Kenya’s social polarization and democratic erosion are benefiting al-Shabaab, both militarily and politically. All these factors are likely to increase, instead of reducing, the terror threat in Kenya, which is very serious. Moreover, they risk fuelling dynamics of violence and conflict in the region. By playing on fear, the Kenyan government is playing with fire. Anna Bruzzone is a Junior Research Consultant at PRIO and PhD candidate at the University of Warwick.